In Part 1 of this double feature, we discussed commercially available electric riding lawnmowers and their benefits for your lawn and life. Now in part 2, we’ll dive deeper into some of the more affordable walk-behind electric lawnmowers and cover the rest of the electric tools that can replace the smoke-spewing machines that many of us have suffered with for years. Lawnmowers are one of the best places to start for replacing gas tools due to their lower noise, lower energy consumption and much less complicated maintenance. Switching to an electric mower can solve many of the most annoying parts of lawn maintenance and create a lot more peace with the neighbors during early Saturday mowing. One of the most common electric lawnmower brands is Greenworks, which has a variety of models with different features. Their most affordable option is a $129 corded mower. It’s not self propelled, but for this price you can just factor in the exercise that you’ll get pushing it around the yard. Don’t forget that you’ll need an extension cord, preferably a brightly colored one, to make it all the way around your yard. For those that have trees or other landscaping around their yard, or just don’t want to deal with the hassle of a cord, Greenworks also has battery powered electric lawnmowers. Their 40V electric mower comes in 16″ ($229), 19″ ($269) and 20″ ($329) models, all of which use the same interchangeable 40V batteries. If you have a larger yard or want to bump up to even more power, Greenworks has you covered with their 80V 21″ mowers for $381 or $429 depending on the size of the battery pack. Greenworks has a whole line of leaf blowers, edgers, trimmers and other tools that all use the same 40V or 80V batteries, making it easy to switch from one job to the next, but we’ll cover those tools shortly. Snapper has its own 21″ 82V electric lawnmower ($599) with extra features including self driving, which can make a big difference on larger lawns. Electric mowers are fairly light weight, but they can still become tiring when pushing them around all afternoon. Electrek previously reviewed the 56V eGo 21″ electric lawnmower ($619), finding it to be a really well built mower, something that many Electrek commenters agreed with. The 20″ version ($545) nixes the self-propulsion and a few other creature comforts, but is also more affordable. It’s 2018. You aren’t still mowing your own lawn, are you? We have robots for that now. In all seriousness, even though I’ve used just about every type of tool on this page at one point or another, I’ve never used a robotic lawn mower, so I had to call in an expert to teach me a thing or two. Brian Manke is the product manager for the iMow robotic lawnmower at STIHL, Inc. He was kind enough to teach me about the basics of how the iMow works. Essentially, robotic lawn mowers are little electric mowers that can be programmed to mow your lawn for you, keeping the grass at the perfect height all the time. You simply lay down an electric guide wire that sends a signal to make sure your mower stays in your yard and doesn’t mow the entire neighborhood. The mower can work day or night, allowing you to wake up to a freshly trimmed lawn. One of the hardest things for people to understand is you no longer “mow” your lawn but you maintain it. A properly configured robotic mower maintains the grass length 24/7. It never looks long or needing to be cut. The benefits to the grass are huge. It gets greener, healthier and looks much, much better. I can speak from personal experience that the results are amazing. You as the homeowner also get some nice perks besides a nice looking lawn and the time savings. Robotic mowers don’t kick up dust, dirt and pollen like a traditional mower – a big plus for people with allergens. Because the lawn is always being maintained you don’t have grass clippings so no grass ends up in the pool or house for example. There are a lot of really nice benefits to having a robotic mower and these are just a few of the high points. Because they run on their own and return their charging station to recharge themselves, it doesn’t really matter how long their runtime is or how wide the deck is. Rain or shine, robotic mowers just scoot around the yard at pre-programmed intervals to keep your grass in tip top shape. Think of robotic lawnmowers as Tesla Autopilot meets Roomba with spinning blades. But not as scary as that sounds. You can find robotic mowers online and at some home improvement stores, but the iMow specifically is only available from STIHL servicing dealers. This ensures that there’s someone trained and knowledgable to help you with setup, as switching to a robotic mower requires a pretty big shift in the way you mow – or maintain – your lawn. It’s not complicated, but it helps to have an expert guide you through it the first time. Robotic lawn mowers are certainly the most convenient way to keep your lawn mowed, but they do come at a cost. The iMow, for example, comes in a few models that range from around $1,299 to $1,999. In some ways though you can compare the cost of a robotic lawn mower to the cost of hiring a lawn service. The prices can be similar, and the robotic mower will come with many more advantages. The most affordable robotic mower is the Worx Landroid ($916), which is marketed as an ideal solution for smaller lawns in the 1/4 acre range. 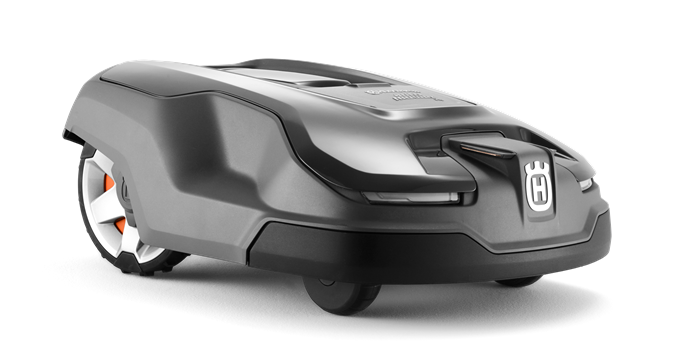 Our sister-site 9to5Mac reviewed the iOS controlled Husqvarna Automower, which is a more premium robotic mower with extra features. Like most robotic lawn mowers, it also has a pivoting plate-and-razor-blade cutting system instead of a traditional large lawnmower blade, making it not only safer but also much quieter. You can easily run these mowers in the middle of the night without bothering the neighbors. The Husqvarna robotic lawn mowers are quite a bit pricier, at $1,478 for the AM310 model and $1,999 for the 430X model, though they also have a larger range of robotic mowers with different feature sets and prices. This is one of those cases were price really does correlate to quality, as Husqvarna has put over 20 years of development into making high quality robotic mowers available. If you’re already enjoying the conveniences of an electric lawnmower, then it’d be a shame to start breaking out the two-stroke oil and ear protection just to fire up a gas string trimmer or edger. 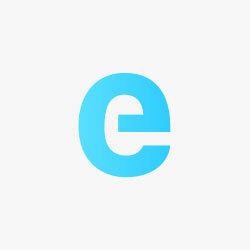 There are a number of great electric versions out there to choose from. Greenworks has cordless 40V string trimmers in 12″ ($114), 13″ ($131) and 14″ ($167) versions, as well as the more powerful 80V 16″ ($316) version. By sticking with the same brand across your entire collection of electric lawn tools, you can also save a pile of money by sharing the batteries and buying some tools without batteries. For example, that $316 80V string trimmer is only $130 without the battery. You can also save by buying the corded versions of these tools, as Greenwork’s 15″ corded string trimmer is only $31. EGo, the same company offering the popular electric lawnmowers, also has a 56V 15″ string trimmer for $187 without the battery, or $299 with a 2.0 Ah battery. Black+Decker string trimmers are more affordable, though somewhat less powerful, offering a 12″ string trimmer in both 20V ($59) and 40V ($99) models, or a corded version for $39. Makita also has some skin in the game, offering their own highly acclaimed 10.25″ string trimmer for $99, without the 18V LXT batteries, which are sold separately. If you already have a few Makita cordless tools and some batteries laying around, this would be an affordable way to get started with a high quality cordless string trimmer. If you want more string trimming power, you could bump up to Makita’s 36V model ($226), which uses two 18V batteries for twice the power. If there’s one lawn and garden tool that brings out the kid in everyone, it’s got to be the leaf blower. Now imagine if you could harness that jet engine feeling in your hand but without the headache-inducing vibrations of holding a rapidly exploding engine? That’s the beauty of an electric leaf blower – all the puff, no more huff! Greenworks has a few leaf blower options including their 1st generation, 135 CFM blower with a 2.0 Ah 40V battery ($98), or their more powerful 40V 430 CFM blower with a 2.0 Ah battery, or their even more powerful 80V 500 CFM blower with a 2.0 Ah battery ($198), which drops to just $116 without the battery. Or if you don’t want to cut the cord just yet, their plug-in model is just $28. EGo is back again with their own 480 CFM, 3 speed, 56V leaf blower for $91 without batteries, or for $156 with a 2.0 Ah battery. Remember though, if you have a couple tools already, you can save money on batteries by just keeping one on the charger while you’re using the other. DeWalt also has competitive offerings in the leaf blower department, with a powerful corded 409 CFM blower ($99) and a somewhat smaller and tamer cordless 20V 100 CFM blower ($96). If you’re on a budget but you still absolutely, positively need a leaf blower so powerful that it could send a small mammal airborne (which we, of course, do not encourage), look no further than Worx’s turbine 600 CFM corded leaf blower ($61). Or if you’d like the battery version, you’ll have to take a modest step down to their still impressive 56V 465 CFM blower ($165). There’s nothing quite like a well manicured set of hedges to really accent a beautiful lawn or garden. Whether you just need to perform some light trimming or you’re building a hedge maze, electric hedge trimmers are your go-to tool. Black+Decker ($63), Sun Joe ($30) and Greenworks ($37) all have similar corded models with fairly universal specifications in the 21″-22″ range and with 3-4A of AC power, though the Black+Decker model can handle the thickest branches at 3/4″. Black+Decker also has a smaller 16″ hedge trimmer for just $30. If you’re working on that hedge labrynth though, you’ll probably want to use a cordless model. Doeworks ($60) has you covered with their 20V model, while Black+Decker has both 20V ($75) and 40V ($128) options, depending on how much power and trimming time you need. Greenworks has their own 24V hedge trimmer ($75), though the batteries aren’t compatible with some of the other Greenworks tools on this page. The winner though, if we were to choose one, is probably the DeWalt 20V hedge trimmer ($178), which is only $119 without the battery. The DeWalt trimmer is likely the most highly acclaimed of all the cordless hedge trimmers and should keep your bushes immaculate for years to come. If leaf blowers bring out the kid in everyone, then let’s hope that chainsaws bring out the responsible adult instead. With the high power level that most chainsaw jobs demand, I find that a corded chainsaw is usually the best option. In the 18″ corded category, Greenworks ($69), Worx ($99) and Black+Decker ($87) all offer competitive models, though the Worx model usually comes most highly recommended. Despite corded chainsaws being more powerful, the nature of a chainsaw means that its usefulness is often required in areas far from a wall outlet. In those cases, only a battery powered chainsaw will suffice. Ego has a 56V 14″ battery powered chainsaw for $199 without the battery. DeWalt offers a highly regarded 20V compact electric chainsaw for $199, or just $149 without the battery. Black+Decker has their own short 20V chainsaw for $97 with the battery, though its not quite as powerful as the DeWalt or eGo models. Greenworks is also back with two different 40V models, a 14″ ($199) and a 16″ ($185) chainsaw. Pressure washers are another great lawn care tool that is just more pleasurable as an electric version. You can finally enjoy the power of the whooshing water without the whining of a little gas engine in the background. Greenwork’s 1,600 PSI ($95) and the PowRyte 1,600 PSI ($75) pressure washers are both similarly featured tools that can handle most consumer-level pressure washing needs with modest pressure levels. For anyone with an itchy pressure washer trigger finger and who wants a little more power, Sun Joe’s 2,030 PSI pressure washer ($149) has you covered. If you’re ready to make the leap to electric power across your entire lawn tool lineup, you might want to consider getting a complete set. Not only can you save money on batteries as we previously mentioned, but many of the tools featured above are available at discounts when purchased as part of the manufacturer’s bundle. There are surely other great electric lawn and garden tools out there that we haven’t been able to include. Which tools do you use? Let us know in the comments below!